This is one in a series of Dragon Bracelets which are so tactile to wear. 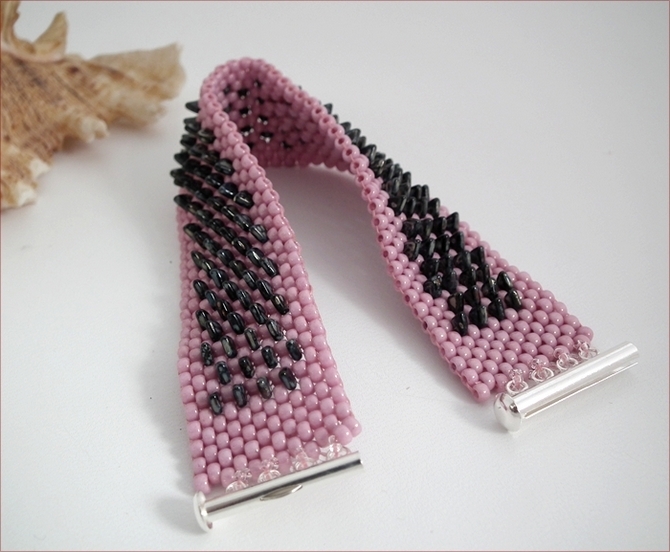 They design includes Czech dragonscale beads in serried rows which give the bracelets a funky look. 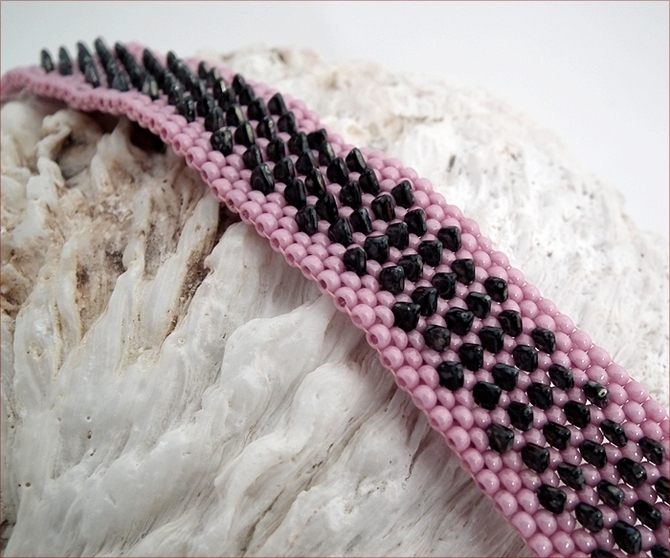 I love contrasting the colours - or using the same colour dragonscale beads as seed beads for a really stylish look. And I love how the bracelet has movement as the light catches the dragonscale beads. These bracelets are really popular with younger women and make great gifts for those who like to be a bit more cutting edge. This bracelet is 7.5" (190mm) long, fastening with a tube slide clasp.